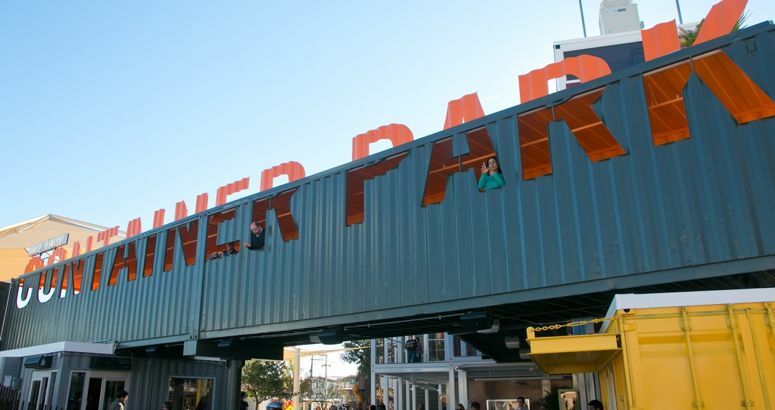 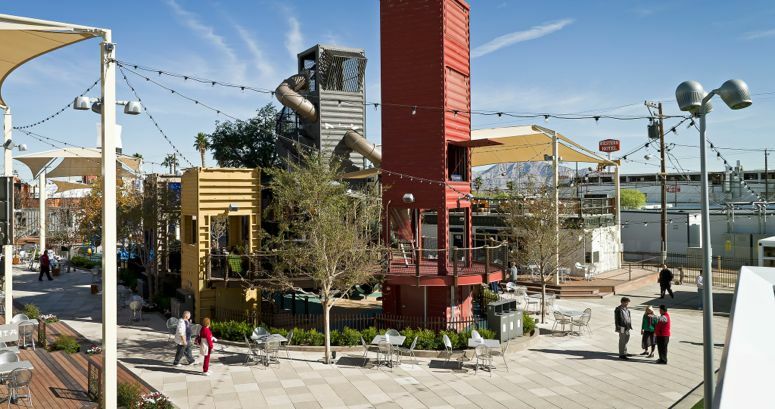 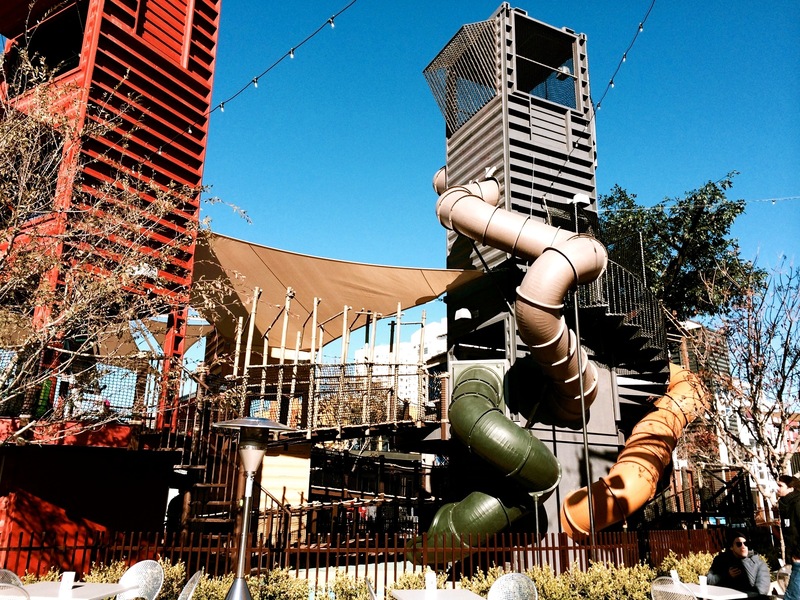 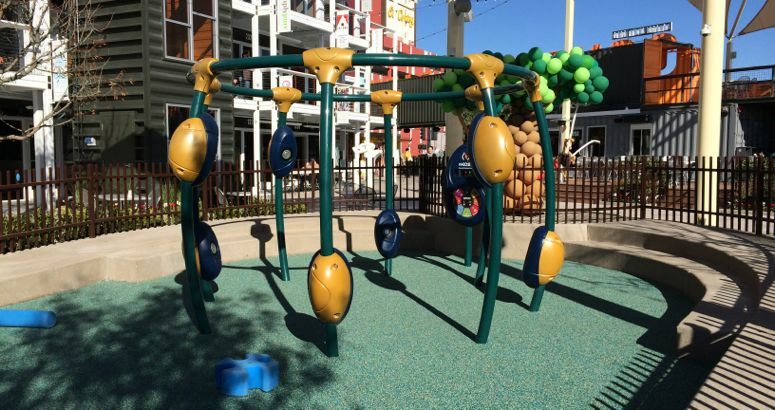 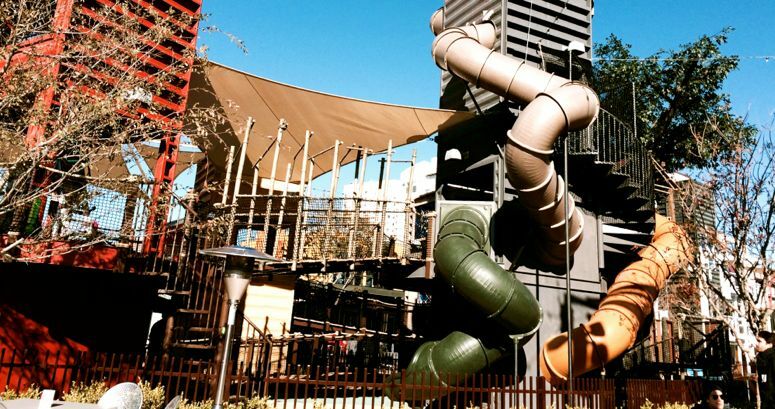 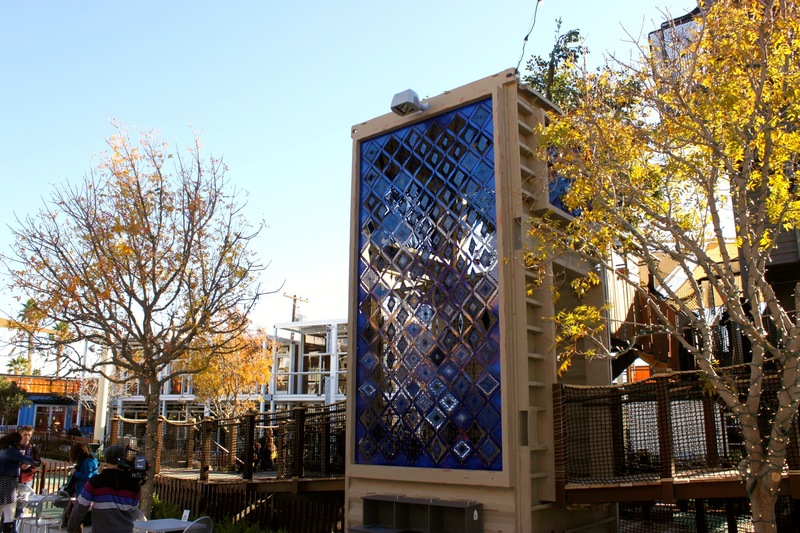 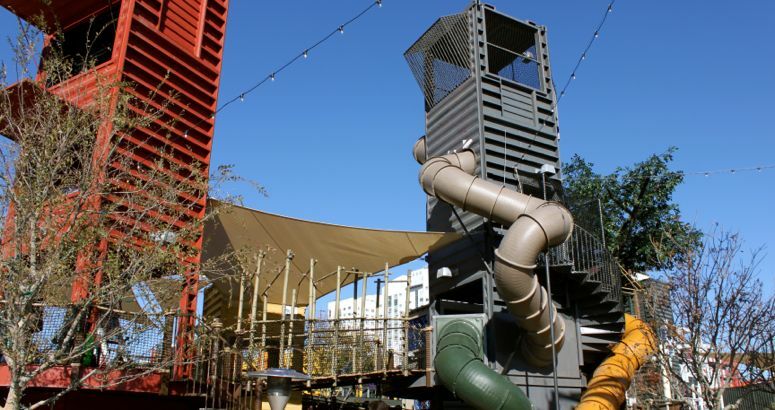 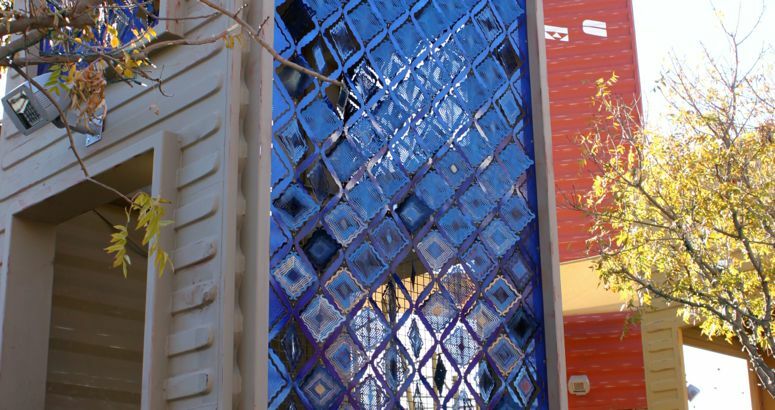 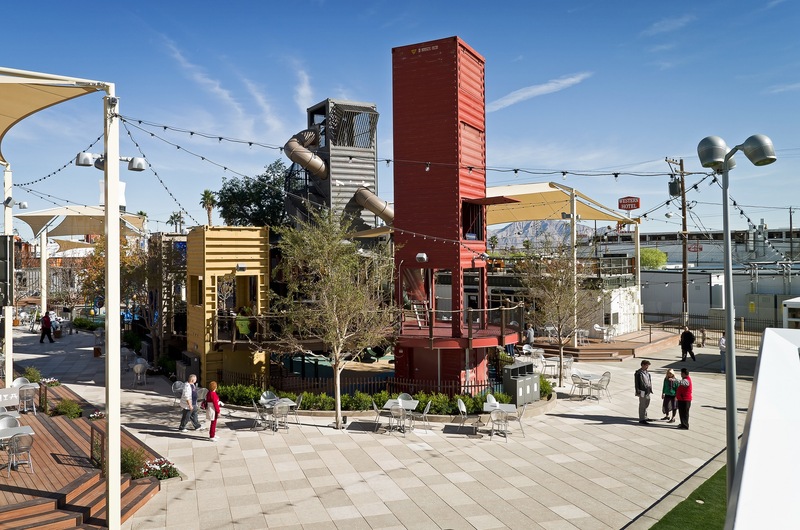 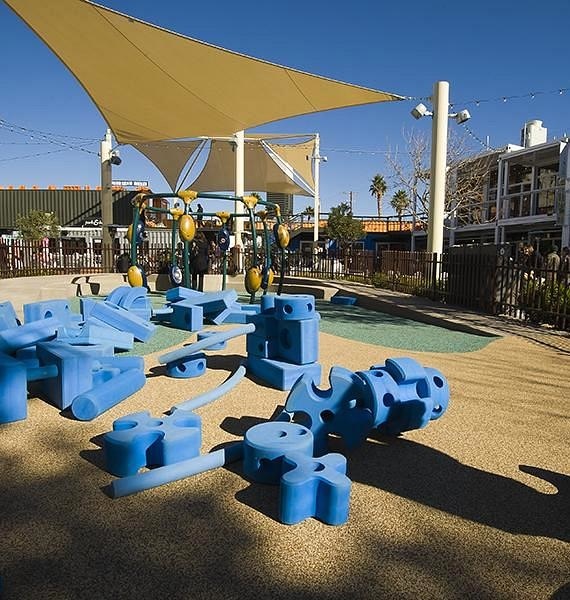 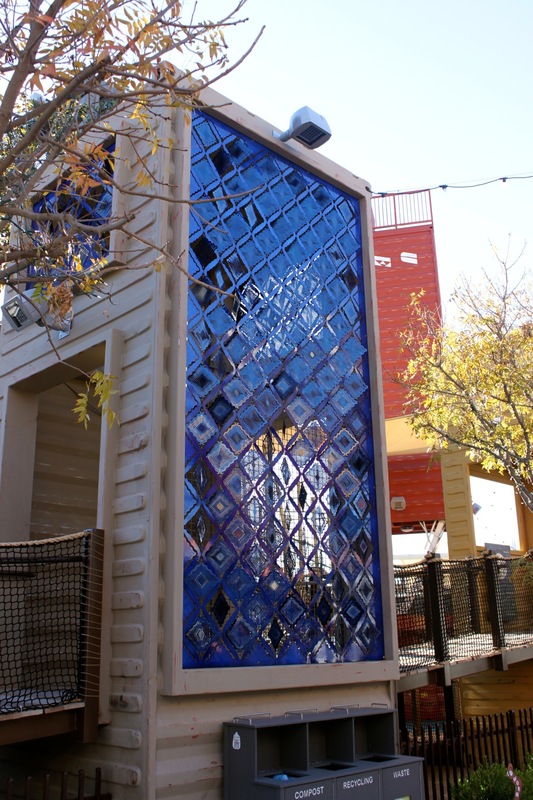 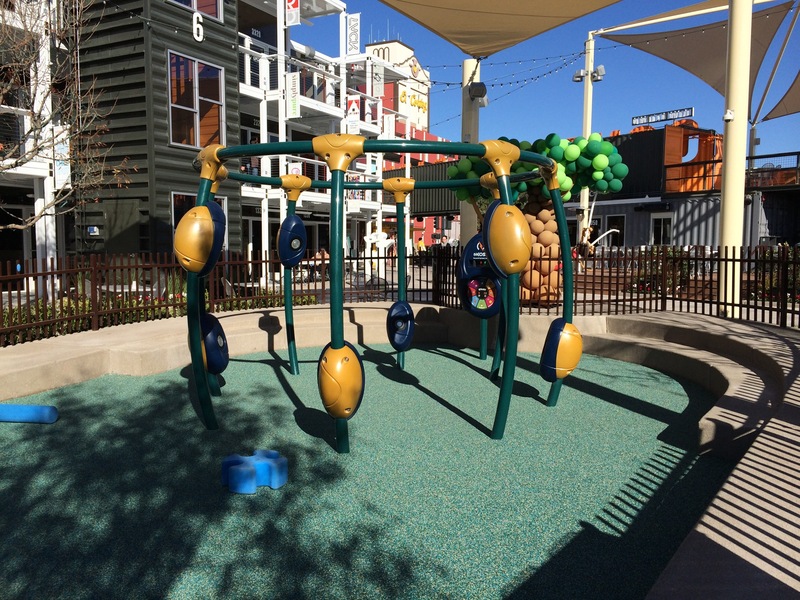 Located on Fremont Street in downtown Las Vegas, Container Park hosts small local shops, eateries and community-focused activities for the families of Las Vegas. 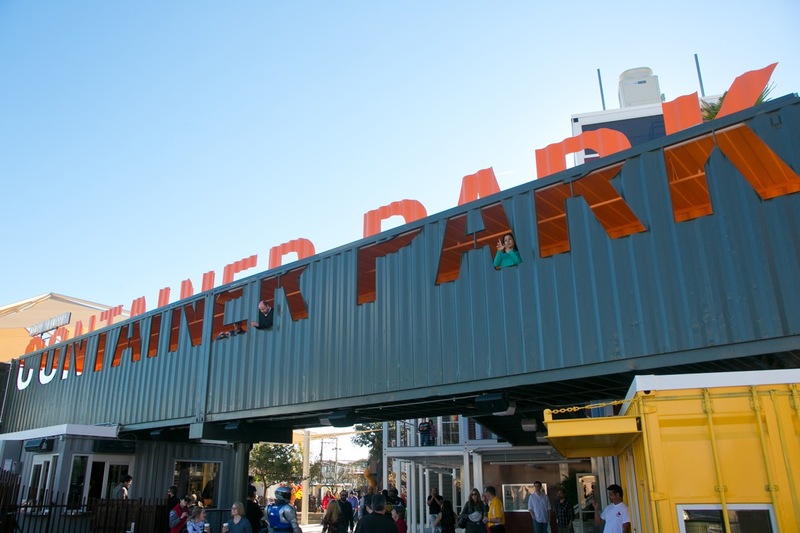 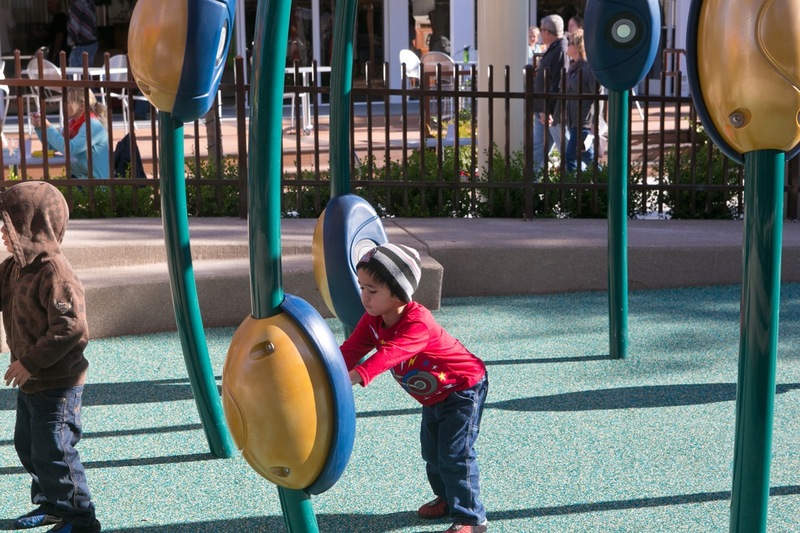 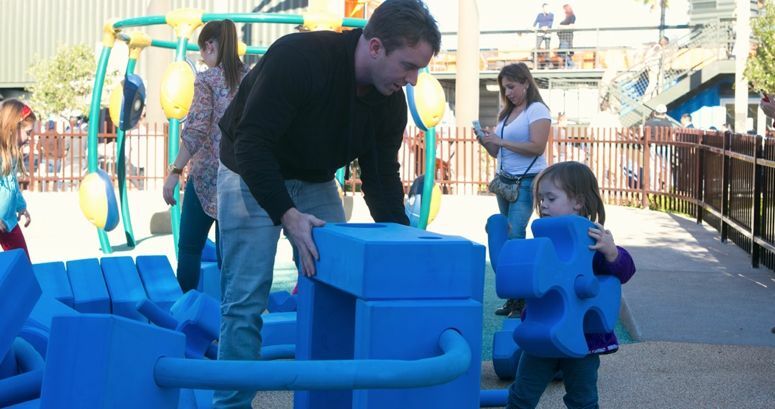 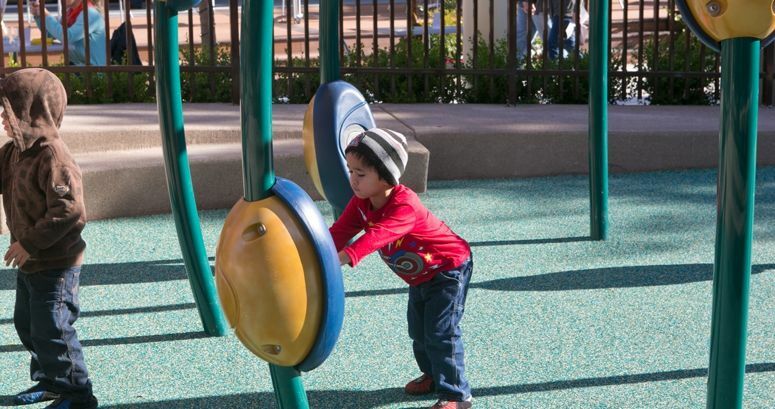 When we were asked to design and build an interactive play exhibit for the park our answer was obvious… “We’re All-In!” Local businesses border the park and operate from repurposed shipping containers. 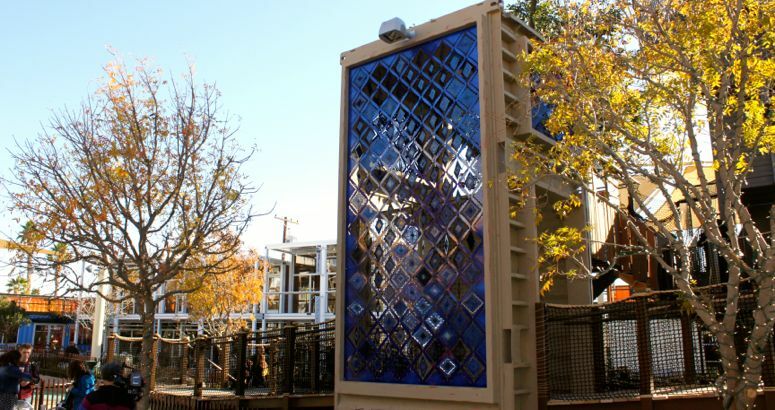 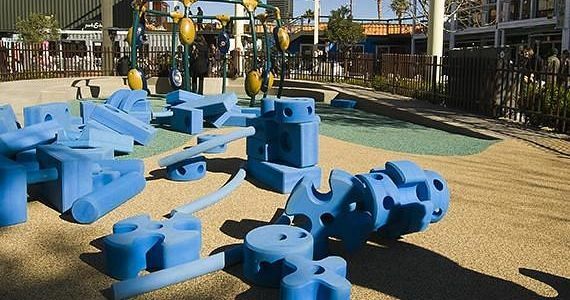 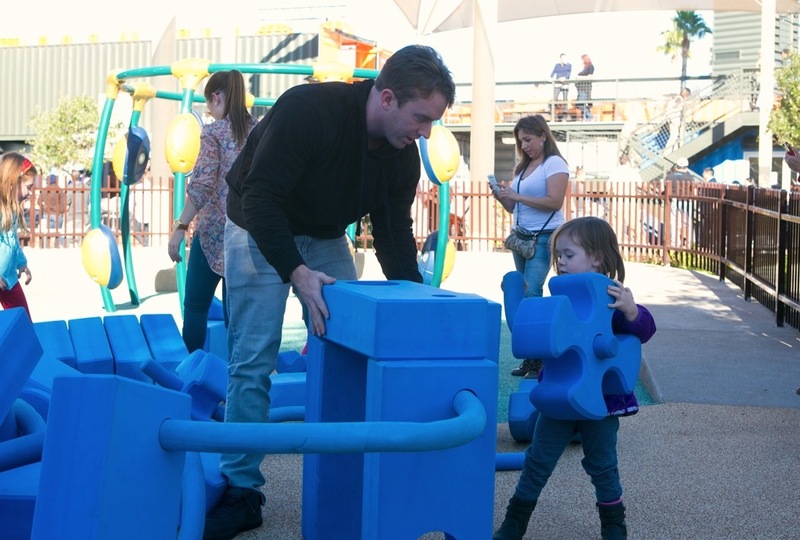 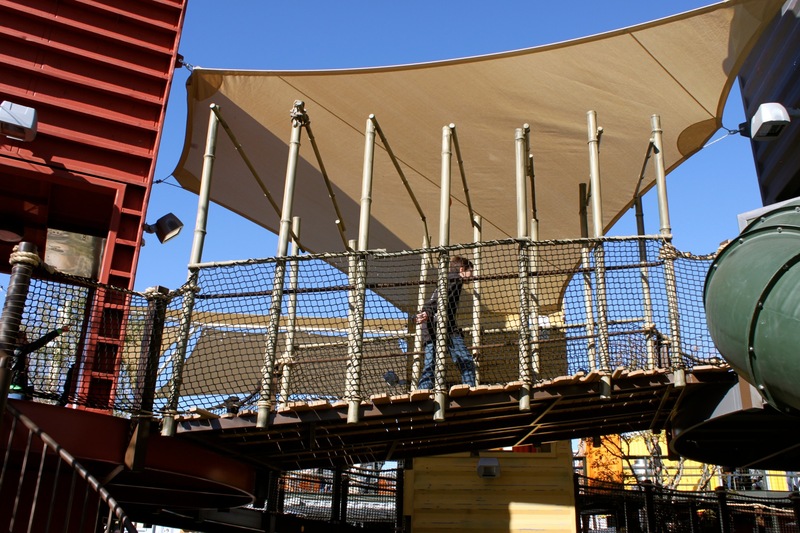 Naturally, the play exhibit which would be located in the center of the park needed to incorporate shipping containers as well. 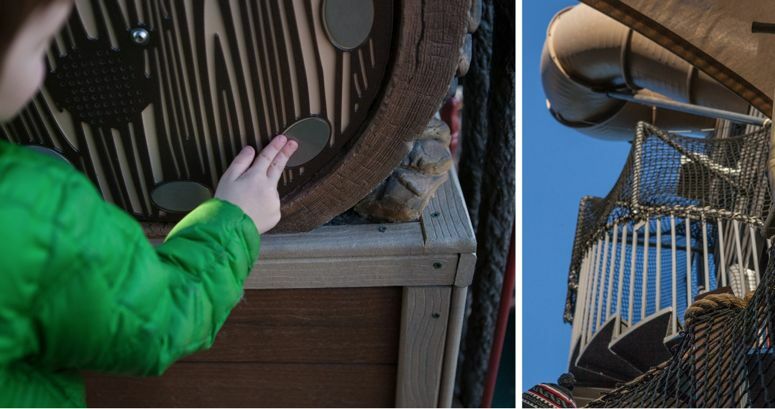 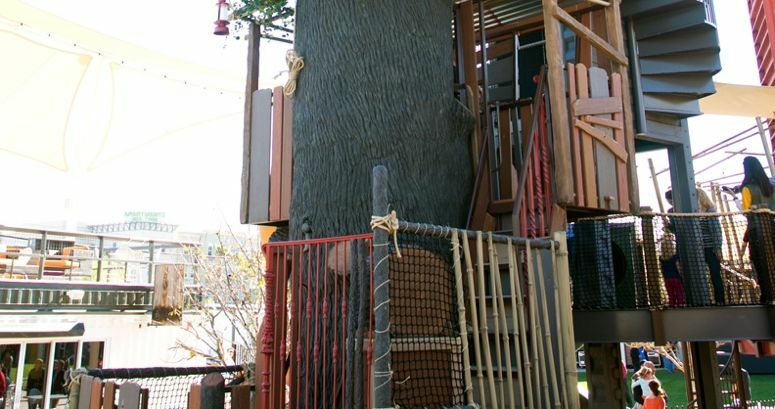 The concept is Swiss Family Robinson treehouse meets urban art. 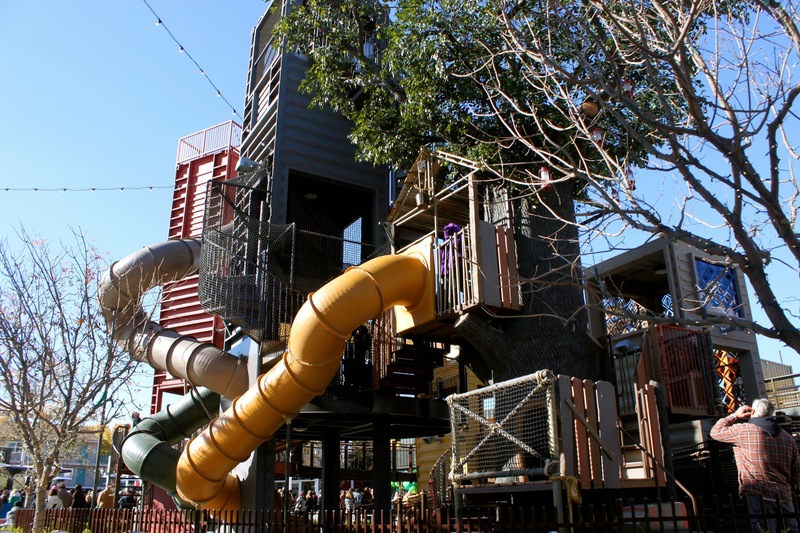 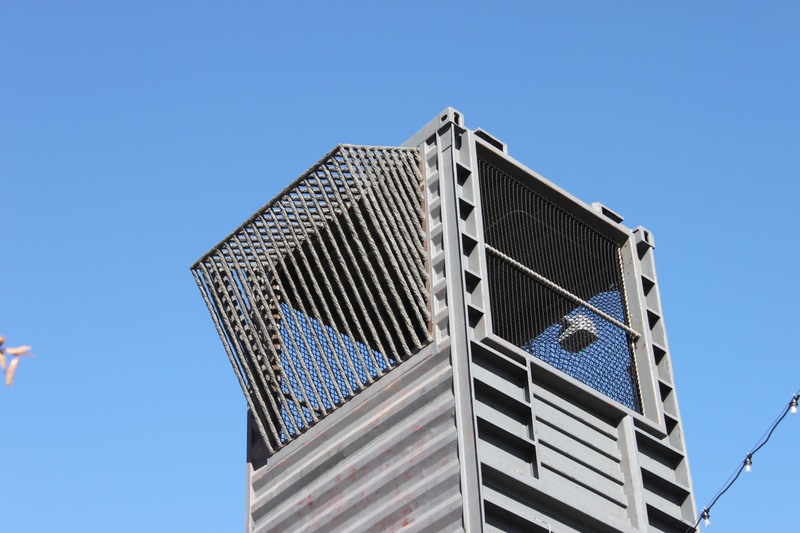 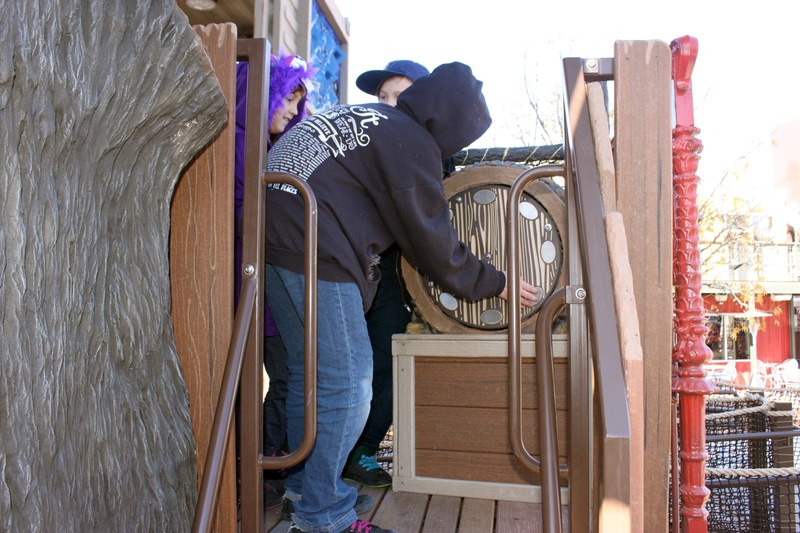 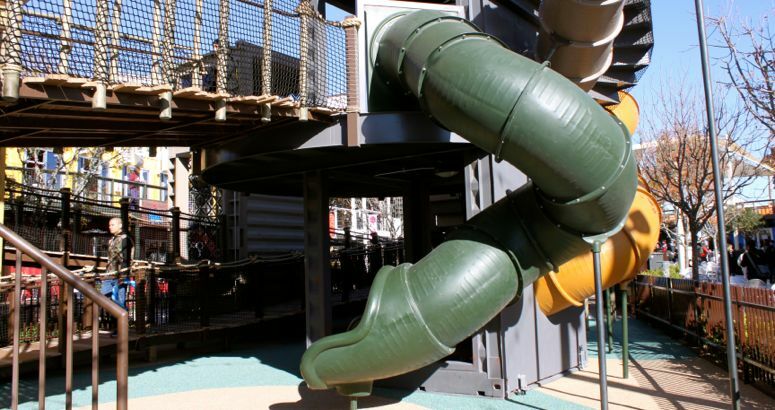 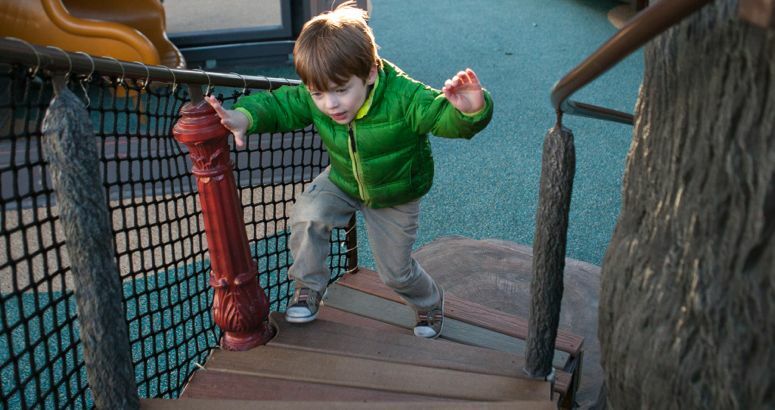 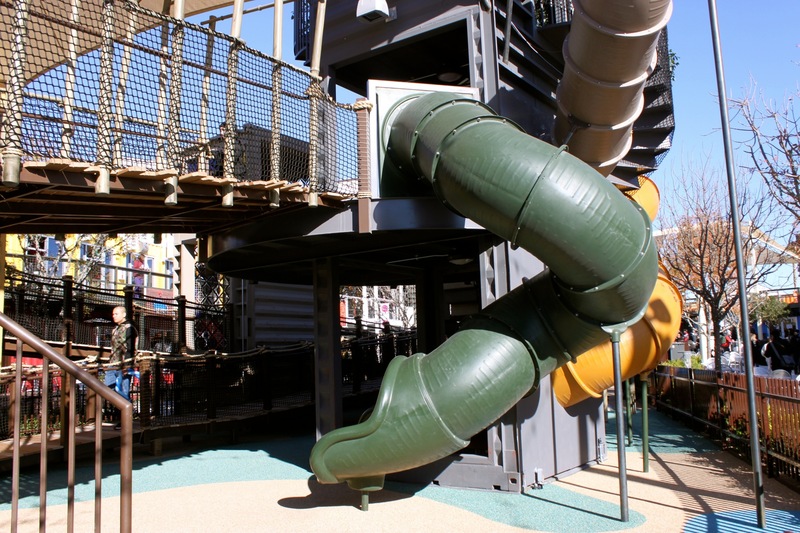 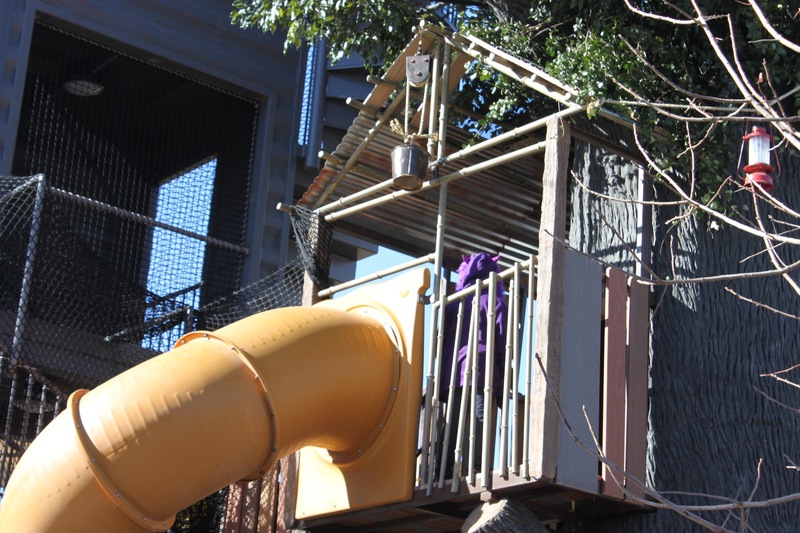 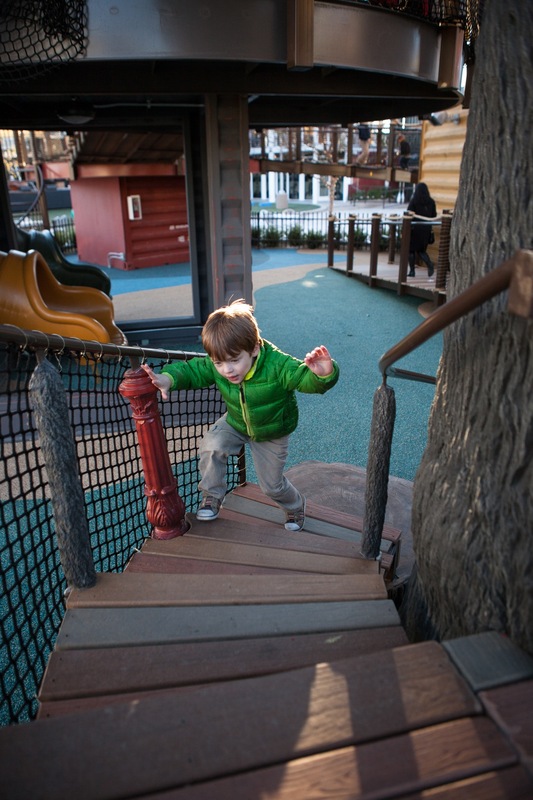 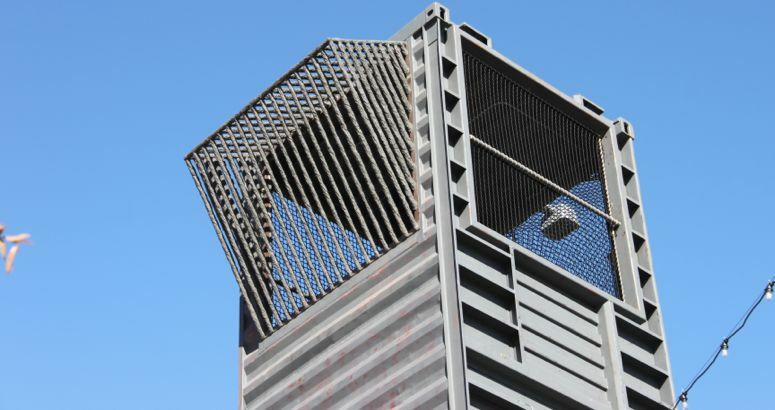 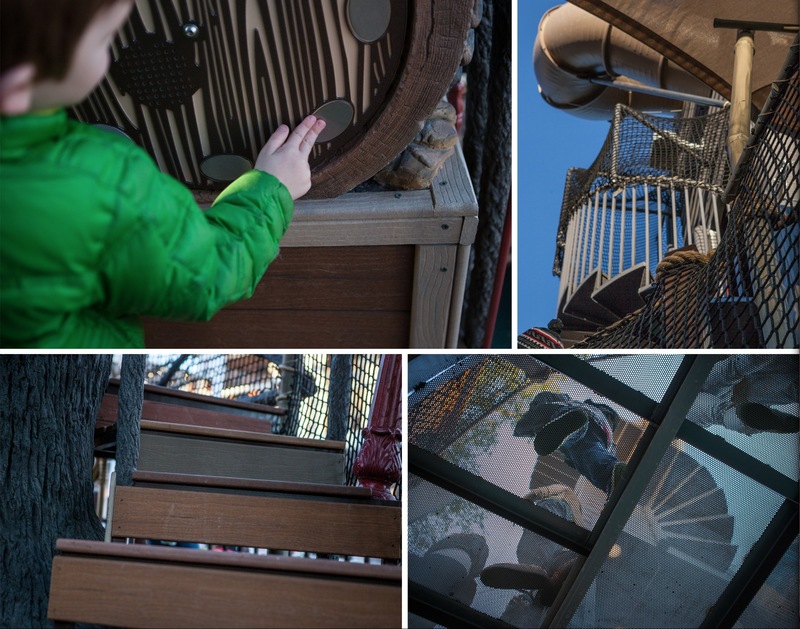 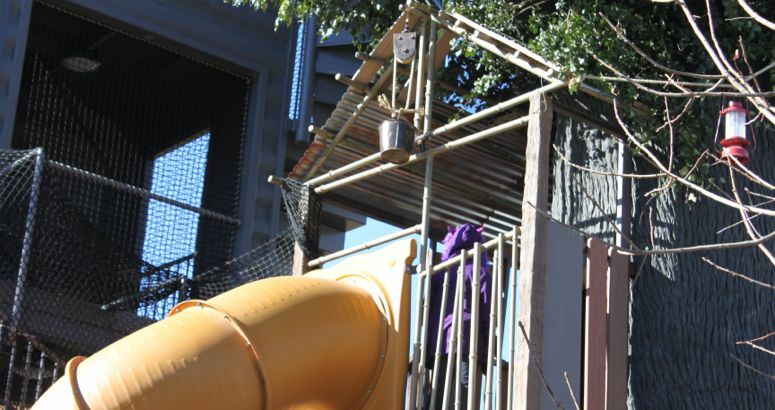 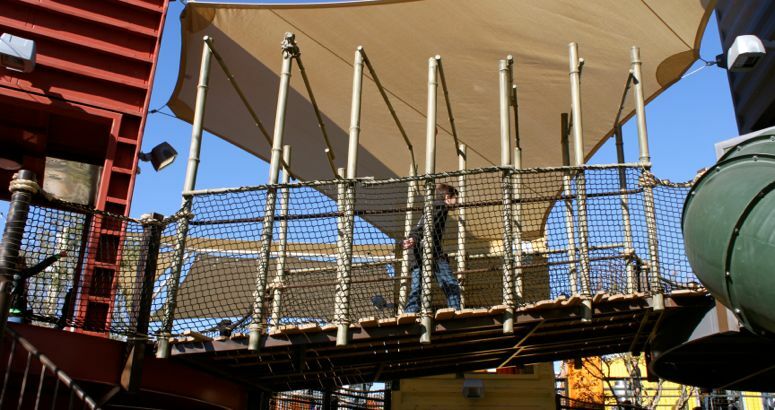 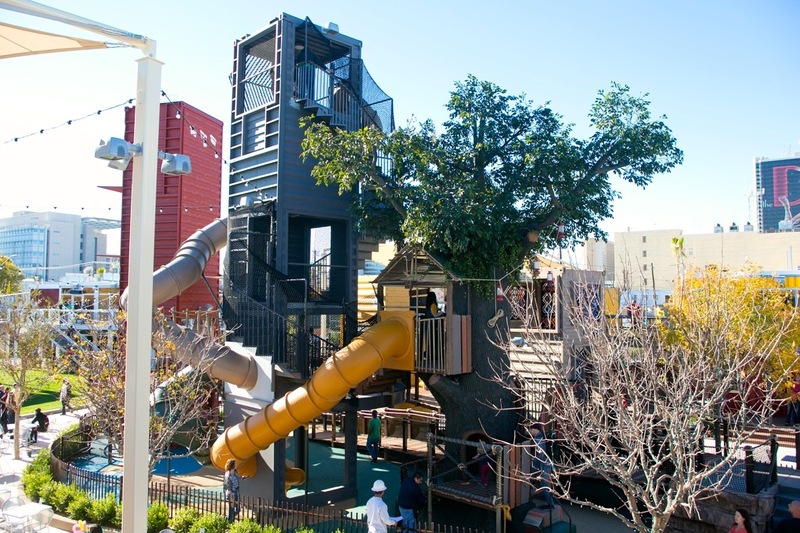 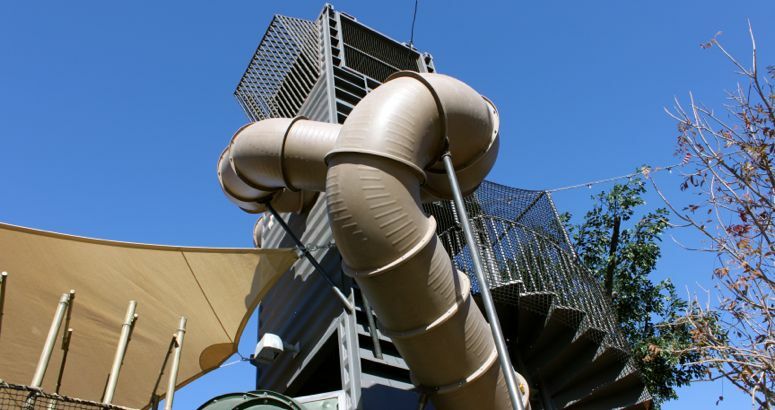 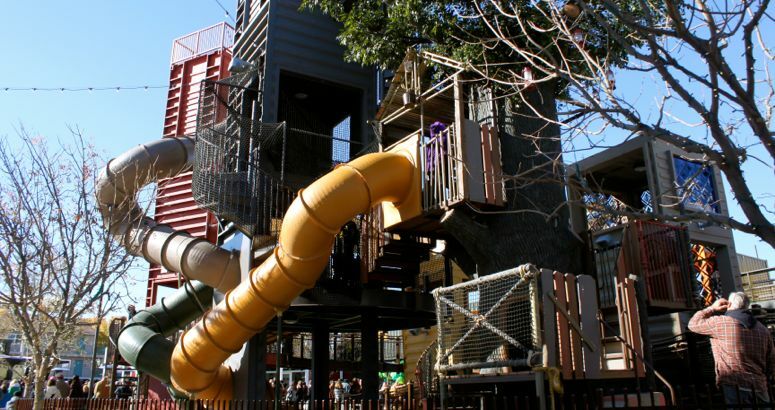 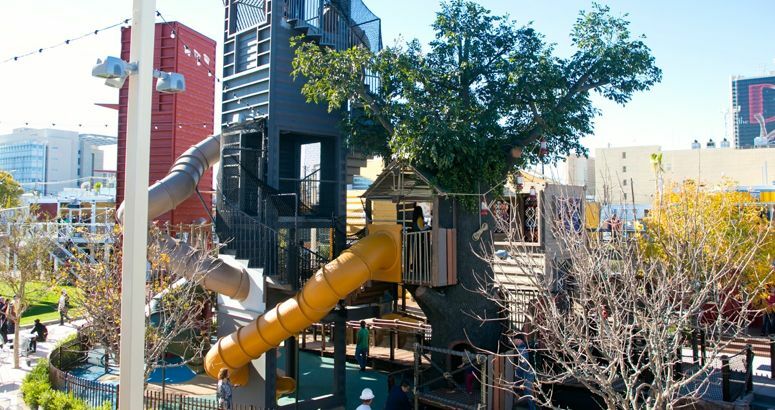 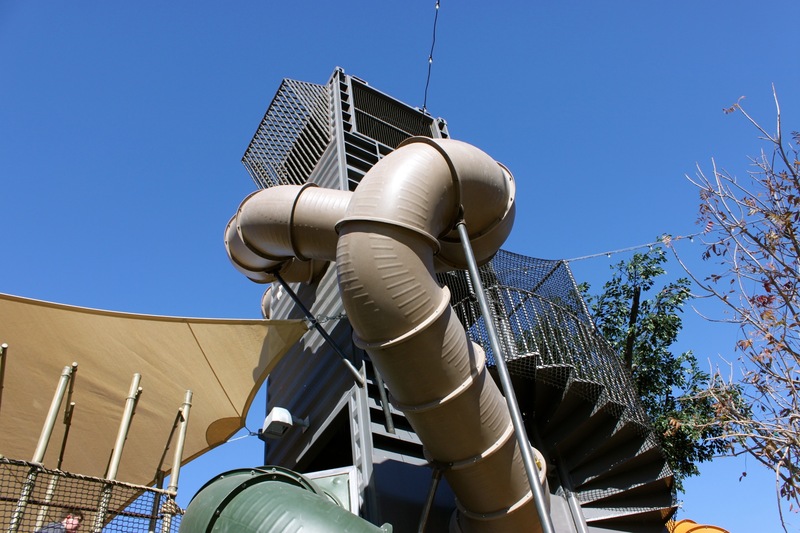 This is an all-ages park- kids and adults can climb to the top of a 40’ high container that stands end-on-end and lean against a 30 degree look-out window for a view of the entire park. 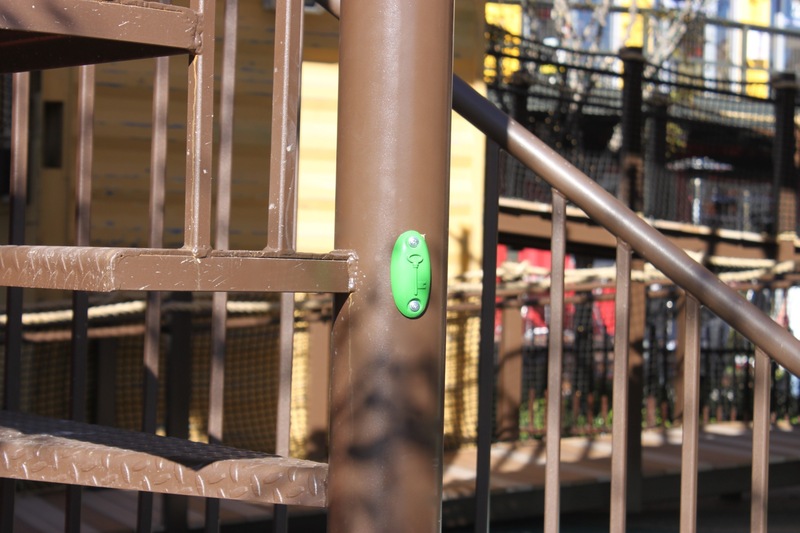 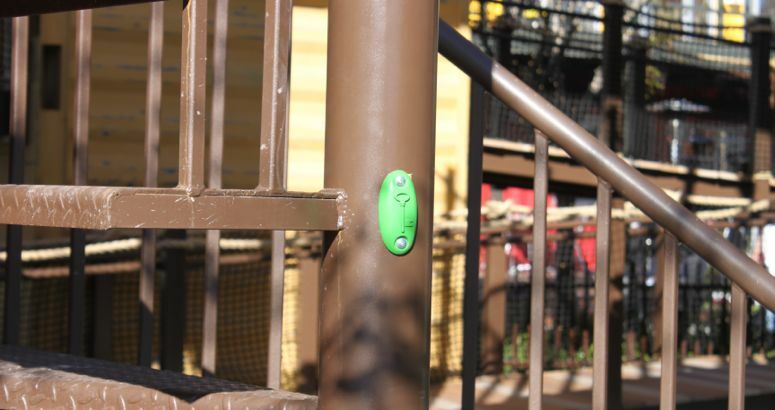 Energy-savings sensors in the tube slide are triggered to activate cosmic, starship, hyper-drive and fish tank visual displays as well as a sonic boom and blast of air. 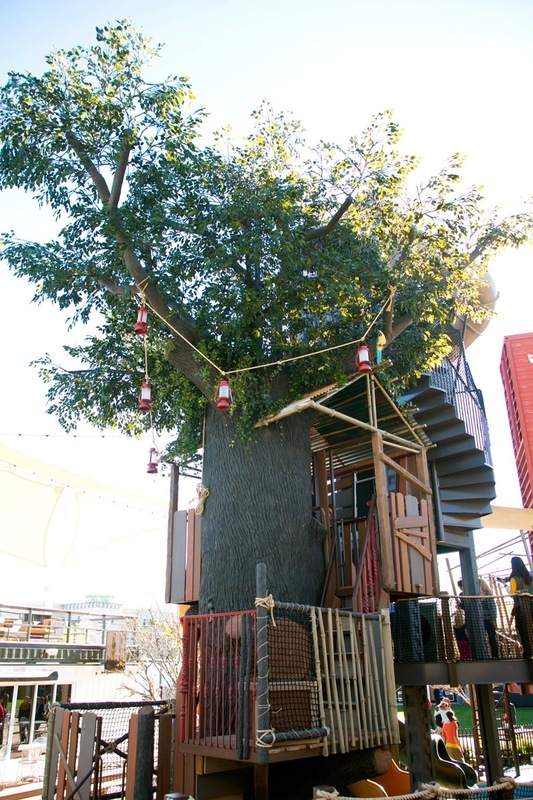 Take the wonky bridge to the ‘living tree’ which has a concrete trunk with real live vegetation at the top! 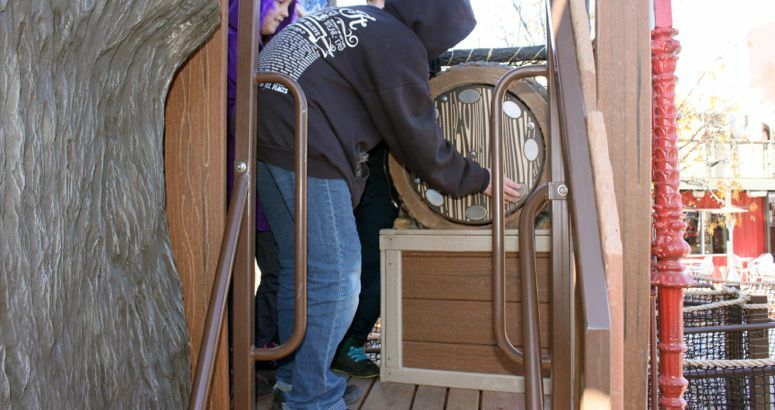 Other elements include the wind spinner art exhibit and a treasure hunt that will send kids and adults on an adventure!